AZTEK Services are BPT approved installers of the Fadini range of automatic gate openers and barrier equipment. We install and maintain a wide range of domestic and commercial systems throughout East Anglia. In addition to the Fadini range we also maintain and repair automatic gate opener equipment from other manufacturers. Fadini automatic gate opener equipment installed by ourselves and on a regular maintenance contract now comes with a 5 year warranty. For more information about our range of BPT Fadini gate openers and barrier equipment, simply contact our expert team. We have a wealth of experience in both commercial and domestic installations and can provide you with FREE consultation to ensure you have the perfect gate for your application. 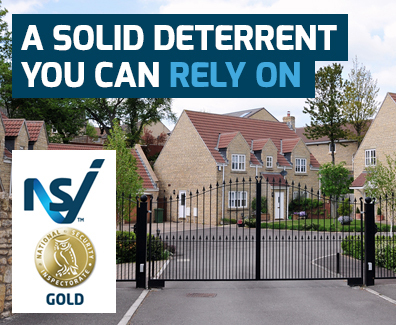 Which electric gate system suits your needs? Electro hydraulic drive units mounted on the back of the gates, we have a range of sizes for domestic and commercial gates up to 3 mtrs without additional locking. Concealed underground hydraulic drive units, opening to 175 deg on gates up to 800kg, a special off axis arm is available for existing gates with difficult hinge arrangements. Single or double sliding gates using either wheel and track or cantilever running gear, gates can be manufactured to look like a pair of swing gates when closed. Large heavy duty swing gates automated using the unique MEC 800 system with multiple hydraulic rams to suit varying gate sizes, an air cooled heavy duty pump provides a near continuous duty cycle. Single or double sliding gates up to 11 mtrs wide automated with a range of electro mechanical operators up to 4000 kg. Want to know more about electric gates? Speak to our team today who will happily assist you with any enquiry that you may have.